I NEED to ensure the team implements good techniques and practices. I have experience of Agile Design and Architecture. The entry 'The Role of an Agile Architect' was posted on April 24th, 2009 at 9:00 am	and last modified on April 24th, 2009 at 8:29 pm, and is filed under Coach's Log, Team. You can follow any responses to this entry through the RSS 2.0 feed. You can leave a response, or trackback from your own site. Thanks for your comment. A role doesn’t necessarily map to an individual. 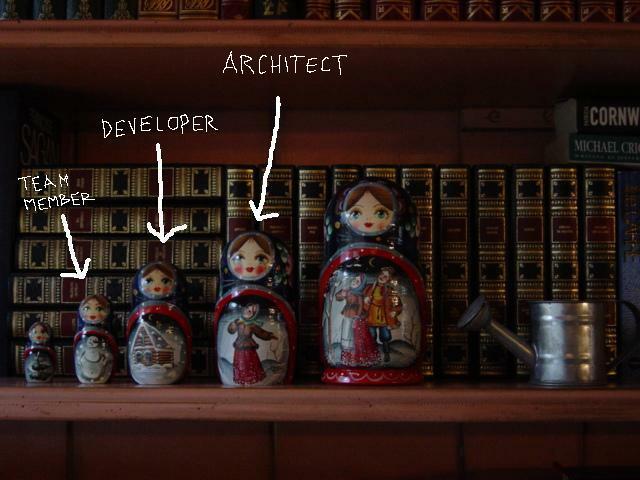 For instance, a developer on an Agile team can be a person with one or more roles. They could be an Agile Developer, an Agile Team Member as well as an Agile Architect depending on the needs of the team and the skillset of the individual. You can find out more about how the Agile Roles and Responsibilities map to people on Pascal’s blog: http://blog.nayima.be/2009/04/25/agile-roles-and-responsibilities/.